I am pretty sure that the special man in your life, whether it’s a father, husband, grandfather, son, will enjoy and appreciate this wonderful recipe I have prepared for a cool and soothing after-shave cream that you will prepare or buy for him. 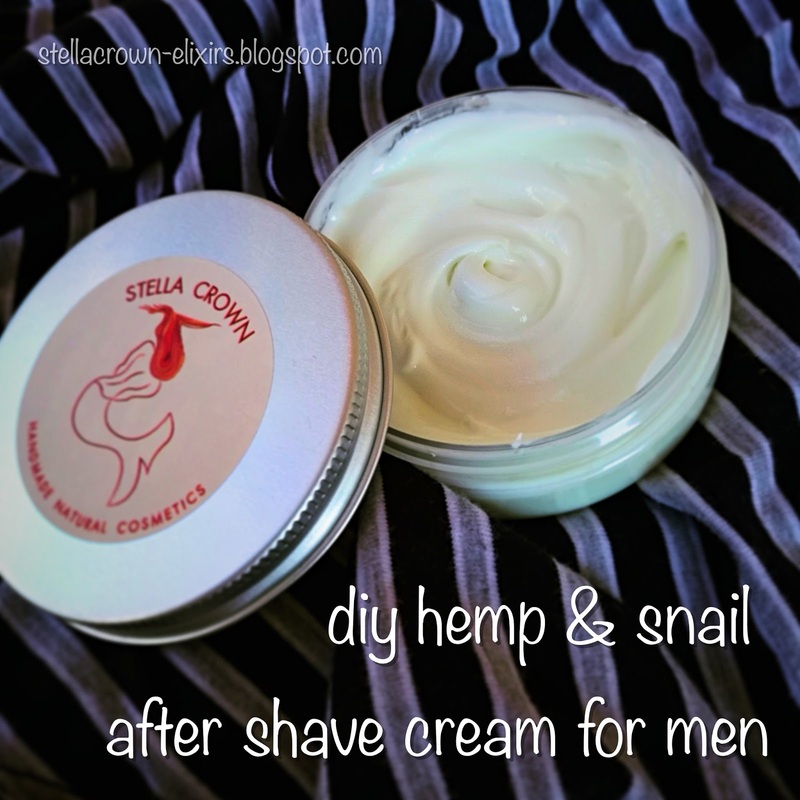 While I was making shaving soap, I remembered that I haven’t wrote anything about the nutritious and moisturising after-shave cream which all the males I am working with, cannot live without it any more. Well ok, I have no idea what it’s like to shave your face, but I do know well how it feels like, shaving your legs and how the irritated skin absorbs all the benefits of using an after-shave cream, immediately. 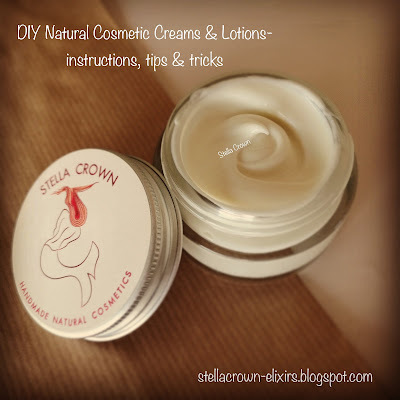 With this cream, forget irritations, red marks, wild & dry skin for ever! Special guest: The Hemp Seed Oil which is rich in antioxidants, phytosterols and proteins, while it contains the optimal 3: 1 ratio of omega-6 and omega-3 fatty acids, a ratio that is not present in any other vegetable oil. It is absorbed easily and quickly, it cures any skin problem you can imagine, it offers generous anti-aging, anti-inflammatory and moisturizing properties, while provides sun protection with a 4-10 SPF. It is added to the third phase because it belongs to the very sensitive oils category. Before we start making the cream, we sterilise tools, containers and work surface, while we were our gloves. We follow the cosmetic cream preparation procedure, available here. Shea butter is rich in phenolic substances with rich antioxidant action, stimulates the skin defence, fights free radicals and hydrates deeply. Rice bran oil is rich in vitamin E and gamma-oryzanol, a substance that protects the lipids of the skin from oxidation. Light oil, is absorbed directly, nourishes, stimulates and prevents wrinkles. Jojoba oil resembles the composition of human skin, stimulates the elasticity of the skin by reducing wrinkles, it is anti-inflammatory and antioxidant, it is absorbed directly without leaving any greasiness. Beeswax has antibiotic substances, heals and softens, maintains skin's natural moisture and protects from pollution and premature aging. Witch hazel floral water relieves and calms the skin and acts antiseptically and antioxidant while the chamomile floral water relaxes and soothes the inflammations. Aloe vera gel treats and cures the skin while providing antibiotic and antifungal activity while vegetable glycerin from coconut oil leaves the skin soft and silky. Provitamin B5 (d-panthenol) ensures rich and deep hydration, soothes and heals drastically irritations, while vitamin E fights dryness and provides softening and anti-aging action. Snail slime is one of the strongest healing ingredients. It reconstructs tissues, has antioxidant activity and provides antibiotic properties. It nourishes and protects the skin, heals inflammations & works anti-bacterially. Cucumber extract stimulates, cleans and hydrates the facial skin. Chamomile essential oil is sedative and anti-inflammatory, cypress essential oil is tonic and antiseptic while sandalwood is anti-inflammatory and antibacterial.